Catamaran cruise Maiton island Ao Yon. 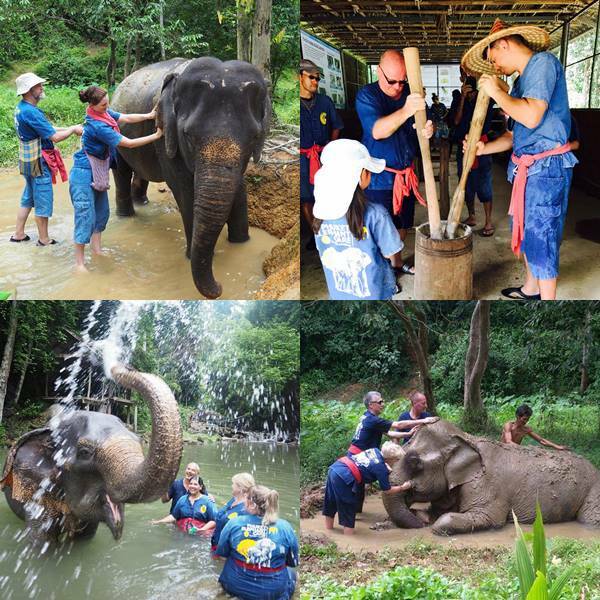 This program follows a similar itinerary for the day as our other Maiton tours, this is just with a different operator. This is another amazing day out on the water sailing on a lovely big catamaran. 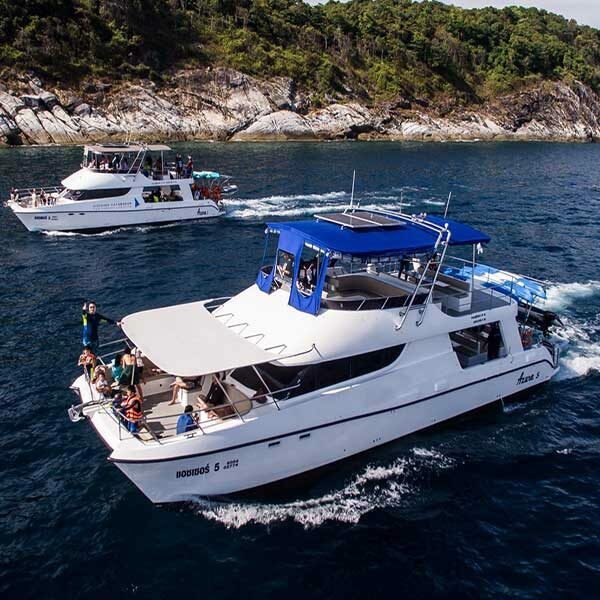 With an early start on our Catamaran cruise Maiton island Ao Yon tour, you set out sailing from Phuket and arrive at Maiton island. The captain usually sails around trying to find the wild dolphins and most of the time they do and the dolphins swim by the boat. 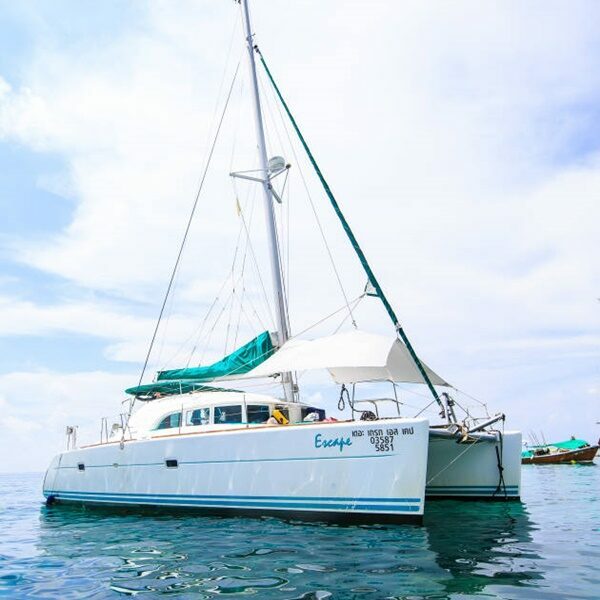 Before booking this trip please bare in mind that you do not actually get off the boat and go on to Maiton Island, you are just off the coast, and have a swim and snorkel and relax on the boat at the best spot the captain can find for the day. Towards the end of the day on this Catamaran cruise Maiton island Ao Yon beach is the last stop where you get time to have another swim and relax on a nice beach, before eating a tasty lunch at the restaurant. After an amazing day on the water you start back to the pier. 08.30 Meeting point, KANEANG @ Pier Restaurant @ Chalong Pier enjoy welcome drink. 12.30 Arrive Ao Yon beach welcome drink severed, you can either enjoy the peaceful seaview by sitting in the beach front restaurant, or swim in the shallow water wait the gourmet freshly cooked Belgium meal to be ready for you. 14.30 Leave Ao Yon return to hotels. Sunrise Phi Phi Maya Bamboo island. If you don’t like crowds and would prefer to see these amazing islands before the other tourists get there, we highly suggest that you look at this Sunrise tour. This is perfect if you are ok to wake up a bit earlier and enjoy an amazing day out at the islands. Half day afternoon Khai Island. This is the afternoon option to visit the 3 Khai islands. Pattaya 3 islands catamaran Tour. If you prefer big comfortable, spacious boats, take a look at this tour. Island hopping on a big catamaran, snorkeling, swimming and lazing on the beach. Sunset catamaran cruise Maiton Racha island. 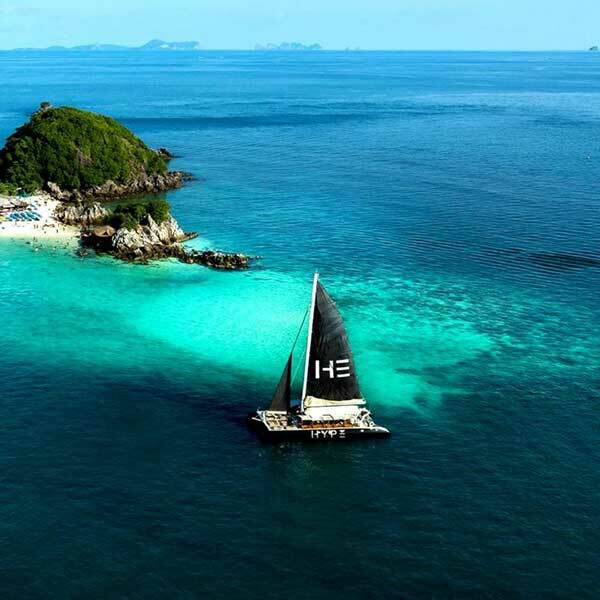 Treat yourself to a very leisurely day on a beautiful boat cruising out of Phuket to 2 of the most beautiful tranquil islands Thailand has to offer.